HIDALGO — When Troy Williams heaved up a 3-pointer with 51.9 seconds to play, he didn’t think it was going to fall. His lack of confidence is easy to understand. Playing for the first time since suffering an MCL sprain on Nov. 29, Williams to that point in Friday’s game had scored just seven points on 3-of-14 shooting, including an 0-for-7 mark from beyond the arc. 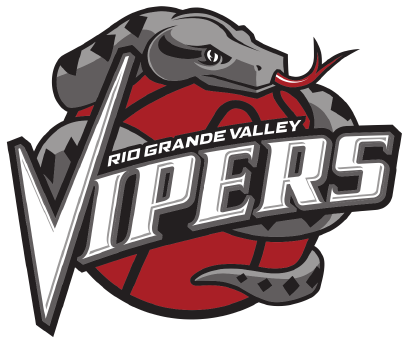 To Williams’ surprise, the shot fell, sparking a late-game rally for himself and the RGV Vipers. Williams also knocked down a 3 and converted a dunk in the final minute, and though he said he finally found his rhythm in the closing moments, the late surge was not enough as RGV fell 117-114 to the South Bay Lakers on Friday at State Farm Arena. Williams finished the night with 15 points, three rebounds and four steals in 24 minutes, slightly off the 18.6 points and 5.8 rebounds he was averaging before injury. Williams said he had “no scares with the knee, at all,” and RGV Vipers coach Matt Brase said Williams was restricted to about 25 minutes. Williams said he only found out he would be playing for the Vipers about seven hours before the game, making the short trip from Houston and arriving about four hours before tipoff. R.J. Hunter was in a similar situation, catching a flight from Houston to RGV on Friday to appear in his first game with the Vipers since signing a two-way contract with the Rockets on Sunday. He entered the night as RGV’s leading scorer this season at 19.2 points per game and once again paced the Vipers with 22, albeit on 7-of-19 shooting and a 3-of-14 mark from beyond the arc. Hunter also chipped in a season-high nine assists while notching four steals. The Vipers finished Thursday’s practice missing seven of their eight leaders in minutes played for the season but received a major boost with the late additions of Williams and Hunter. Both players will fly back to Houston today for the Rockets’ matchup against the Golden State Warriors, while the rest of the Vipers travel to take on the Texas Legends. Friday’s game was close most of the way, with 12 ties and 14 lead changes through the first three quarters. Neither team led by more than six points until South Bay (17-11) scored 13 straight, capped by a 3-pointer from Andre Ingram, to build an 88-81 advantage with 9:07 remaining in the fourth quarter. The Lakers’ largest lead was 12, and the Vipers (18-11) trailed by 11 in the final 90 seconds before rallying to set up a dramatic finish. Isaiah Hartenstein made a free throw with 1:18 to play, and a foul by Thomas Bryant allowed Hunter hit two free throws with 1:15 remaining. After Hunter’s second make, Bryant was called for a flagrant foul for elbowing Hartenstein, giving Hartenstein two more free throws with 1:15 on the clock. The foul also allowed RGV to retain possession, and Tony Wroten hit a layup to cap a burst of seven points in eight seconds that pulled RGV within 107-103 with 1:10 remaining. Williams hit a 3 to pull RGV within 109-106 with 1:05 to play, added another 3 to make the margin 112-109 with 18.8 seconds remaining and then dunked to trim the deficit to 114-111 with 11.3 on the clock. South Bay kept hitting free throws or scoring to keep the lead at two possessions, but after Hunter hit a 3 with 4.3 seconds remaining, the Lakers’ Scott Machado converted just 1 of 2 free throws, giving the Vipers the ball down 3 with 2.8 seconds to play. The Vipers’ inbounds pass came to Wroten, who dribbled into the front court and missed wide right on an off-balance 3-point attempt at the buzzer. Hartenstein scored 20 with a game-high 14 rebounds for RGV, while Markel Brown scored 13 points with eight rebounds in his Vipers debut after signing a two-way contract with the Rockets on Monday. Wroten also returned to the lineup for RGV after missing the previous two games and finished with 18 points, seven rebounds and four assists. Brase attributed the Vipers 10-of-41 shooting (24.4 percent) from beyond the arc to an off night, instead pointing to RGV’s 24 turnovers and South Bay’s 22 offensive rebounds as causes for concern.